JQ Talks: Anmok Beach & Coffee Street - FINALLY BEEN HERE! But Is It Worth Visiting? 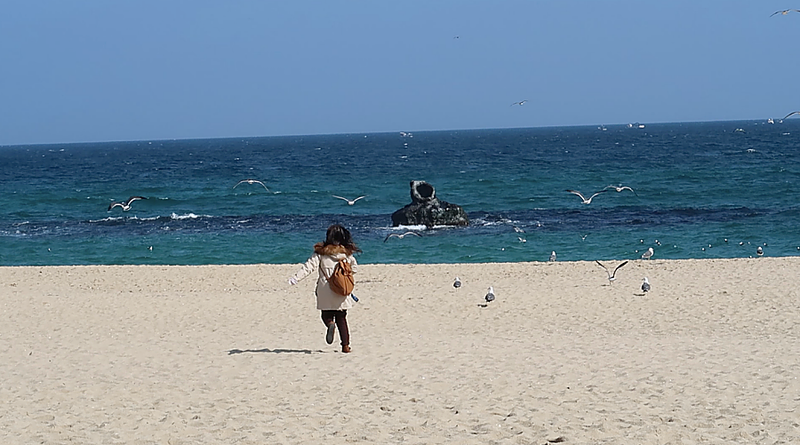 \\ Where to go in Gangneung, Gangwon Province? Anmok Beach & Coffee Street - FINALLY BEEN HERE! But Is It Worth Visiting? \\ Where to go in Gangneung, Gangwon Province? Before I start babbling about how I finally made it here, let's take some time to appreciate my two adorable girlfriends who photobombed my pictures without me knowing until earlier today when I was editing these pictures. Omgosh guys, why y'all so kiut! Speaking of cute, here's another adorbs picture of my other friend trying to chase those beach birds. Just lovely, always make my videos that much more entertaining. 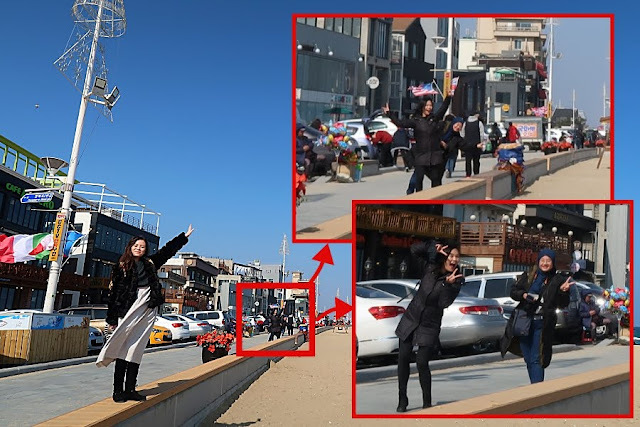 Anyway, as the title states, I've finally visited Anmok Beach and Coffee Street! It was the one place where we didn't manage to visit last year but I'm glad it's part of our Snow Festival In March itinerary this year. It's actually much smaller place than what I had expected. 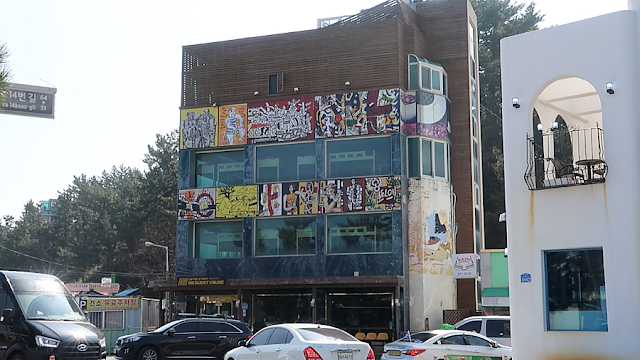 A nice place but much smaller than what I had in mind, probably because there's a hype of this place as being one of the must visit places when in Gangneung, as it's also known as the city of 'Coffee Romance' by the KoreaTimes Online. There's actually quite a cute story before Gangneung became famous for its coffee. Back in the 1980s, most Koreans get their coffee from vending machines installed along Gangneung beaches and during that time, the bus that goes to the beach and back to the villages only ran three times a day. Thus, in that era, when a man as a woman to have coffee with him was like asking for her to spend an entire day together. The coffee-dates concept became even popular thanks to radio programs that promotes such love stories, causing a plethora of couples from other places of Korea to visit the place to make their own coffee-date stories. As time passes, when people start offering brewed coffee, Gangneung just became a coffee paradise. Coffee is so important to Gangneung that the city government even hosted Gangneung Coffee Festival annually since 2009. 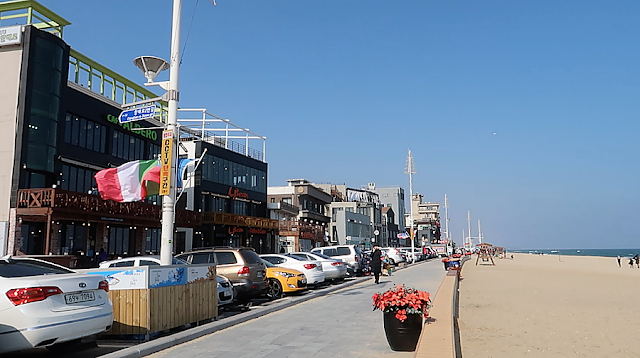 Anmok Beach and Coffee Street is pretty much the most famous place to get coffee with a beautiful beach view in Gangneung. For me, I like this place but if I'm just on vacation and would like to visit as much of Gangneung as possible, I personally won't spend my whole day here, sipping coffee and people watching because there's really nothing much to do here other than that. Of course, unless you really, really like sitting by the beach, then it makes sense. 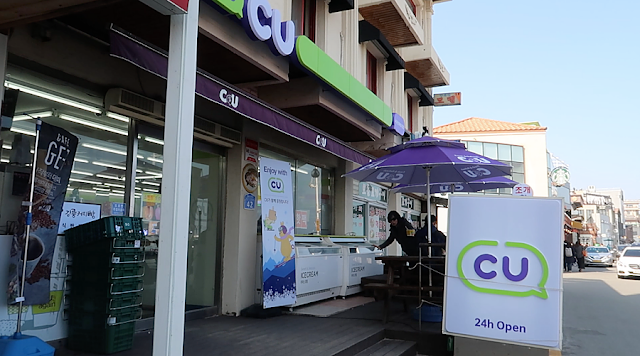 Watch this video to see a little bit more of Anmok Beach and Coffee Street! If Anmok Beach and Coffee Street is going to be in my itinerary, I would visit this place in the evening around 5pm, after a really long day visiting other parts of Gangneung, when it's time for me to kick back and relax my tired legs accompanied by the sea breeze. This is probably my favourite time to enjoy a cup of coffee and maybe later on find a convenient store that has a table outside for me to enjoy my dinner ramyeon while I continue enjoying the beach view. Unfortunately, after some research, Anmok beach, is not famous for its sunset, you can enjoy the orange and yellow sunset hues in the sky but I don't think you can really see the sun, the round sun, setting behind the sea. 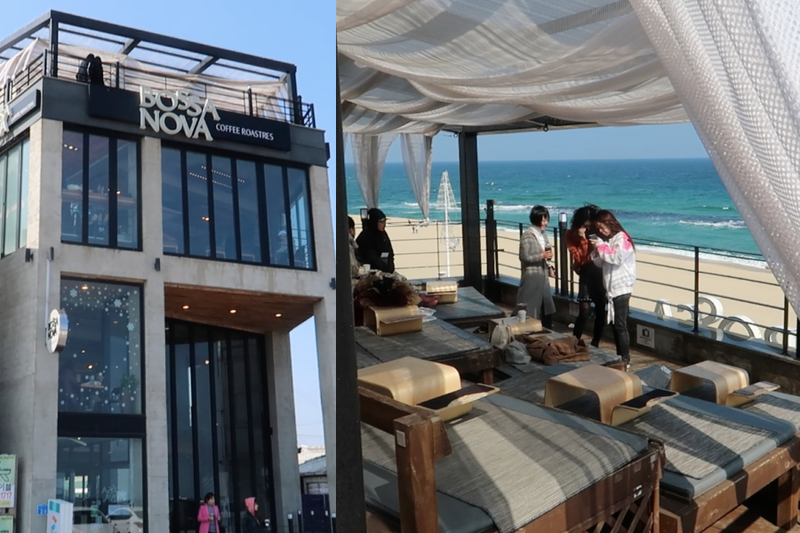 The coffee place that I might just sit to rest my legs and enjoy a little dating time would definitely be this cafe, Bossa Nova, as it has a beautiful top outdoor sitting area for you to see the entire beach and street. As for convenient store for my ramyeon dinner, seems like CU is the only one (that I saw) that has a little sitting area outside. I guess CU it is then. Also, there's a GN Guest House here (Gangneung Guest House) for those interested to stay a night. It's dorm style, and weirdly check in is at 4pm and check out is at 11am. Lols, definitely not a place for me. I like my privacy and my own sweet time in the morning in my hotel room. It's fine if you are just looking for a simple place to sleep.